Respect is something we all want. There are some schools and worksites in AISD where the employees feel respected. They come to work and feel like they are part of a team. They can share ideas, they understand the vision of their school or worksite, they know what is happening, and they are provided feedback in a way that is productive and helps them grow. Unfortunately, not all of our schools and worksites operate that way. In some places, the employees feel excluded. They may have great ideas, but they are not given an opportunity to share their ideas or they are dismissed when they share ideas. They do not receive information about things that are happening. They are yelled at or spoken to in a way that makes them feel diminished and not trusted. We don’t just encourage respect for the sake of meeting an ideal. When teachers and employees feel that they are not respected or valued, morale plummets. When that happens, they are more likely to leave the school, worksite, district, or even the profession entirely. We need experienced professional teachers and other employees working with our students. High turn-over rates are not good for anyone. In addition, employees who feel valued may be more likely to share new ideas that lead to innovative approaches in learning or doing business. We should encourage, not discourage full participation. Now is the time to change the culture in AISD. Let’s embrace a more positive environment where all employees are truly valued. Let’s embrace a more positive environment where all students, parents, and community partners are truly valued. We will be working to change this culture. It will not be fast, but we will work persistently to ensure that all employees are respected. 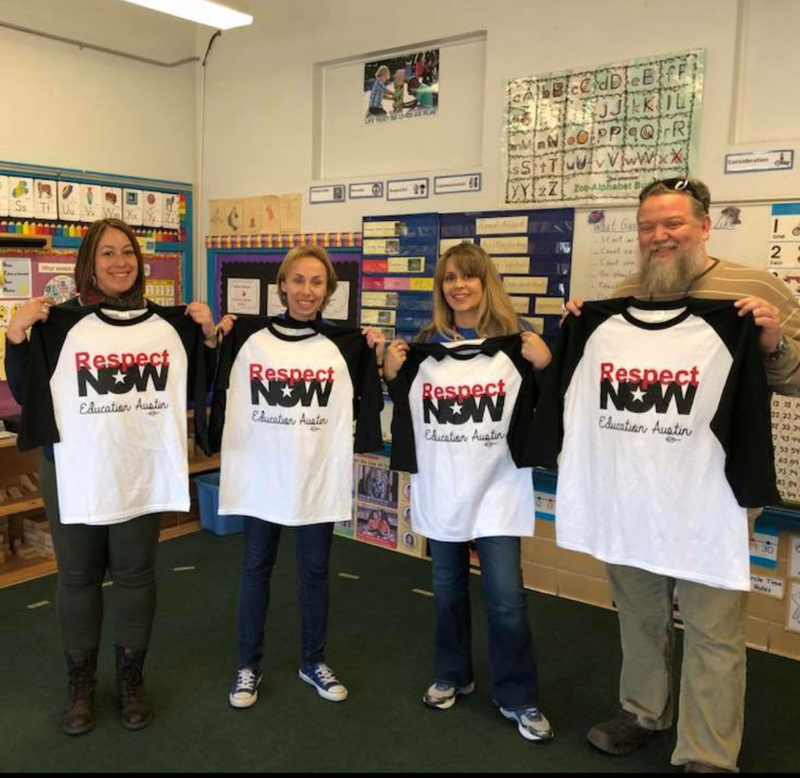 We will take our first steps by introducing our Respect Now campaign at the school board meeting on April 30th. Join us as we invite the school board and school district to work with us and embrace a better vision. Click here to rsvp for this event: https://bit.ly/2Ij9gdb. Now is the time. #RespectNow.